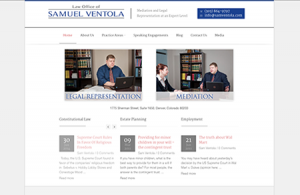 For the Law Offices of Sam Ventola, our team created a logo design and web site from scratch according to specifications. “I had the opportunity to work with Business in Blue Jeans on our company’s website. Susan and her team were extremely professional.